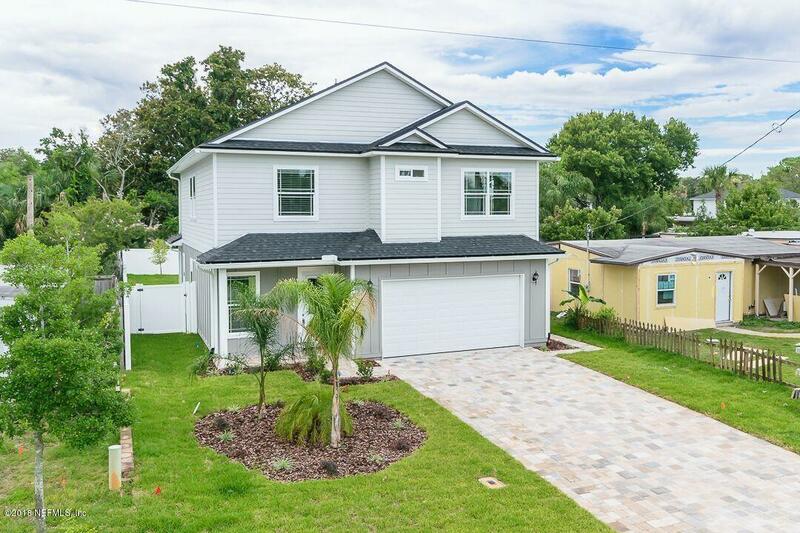 Beautiful New Construction! 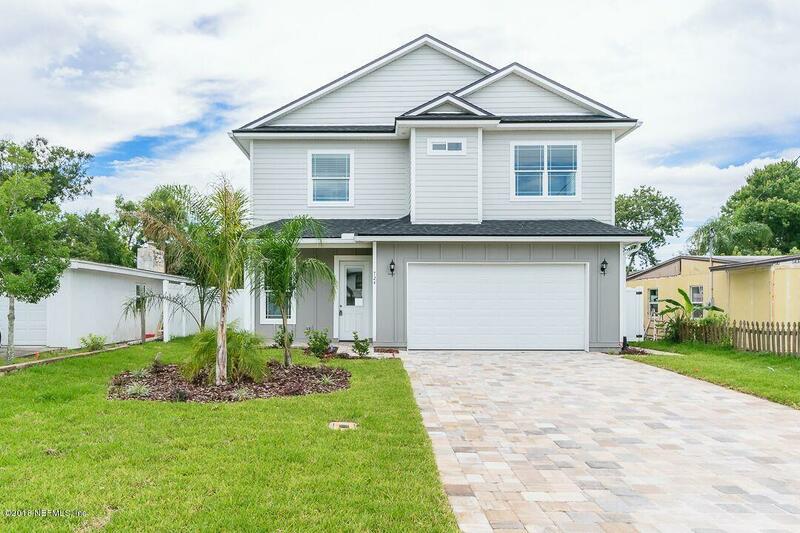 Amazing floor plan with 10' ceilings/ 8' doors, Gorgeous kitchen with granite counter tops, stainless steel appliances, and an island with sink overlooking living/dining room. 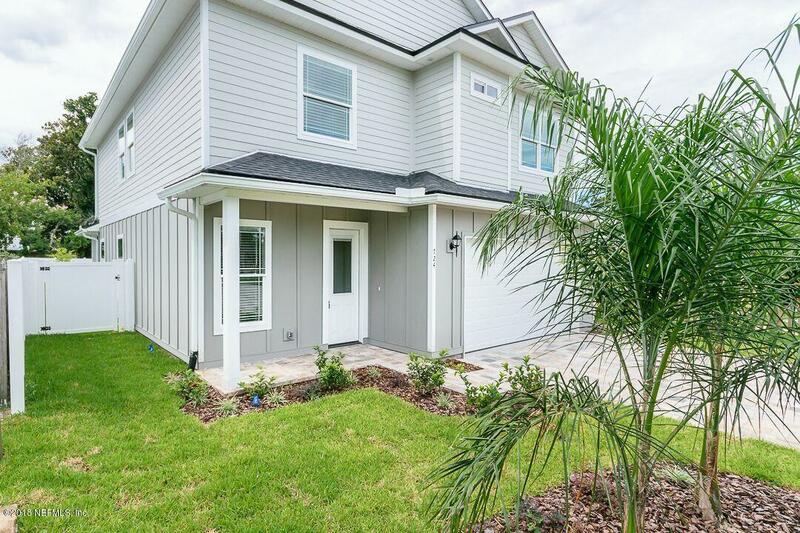 French doors open off living room to covered lanai, huge back yard with white vinyl fence and plenty of room for a pool, Lots this size are rare, wood plank tile 1st floor, stairs, & 2nd fl hallway and master bedroom. 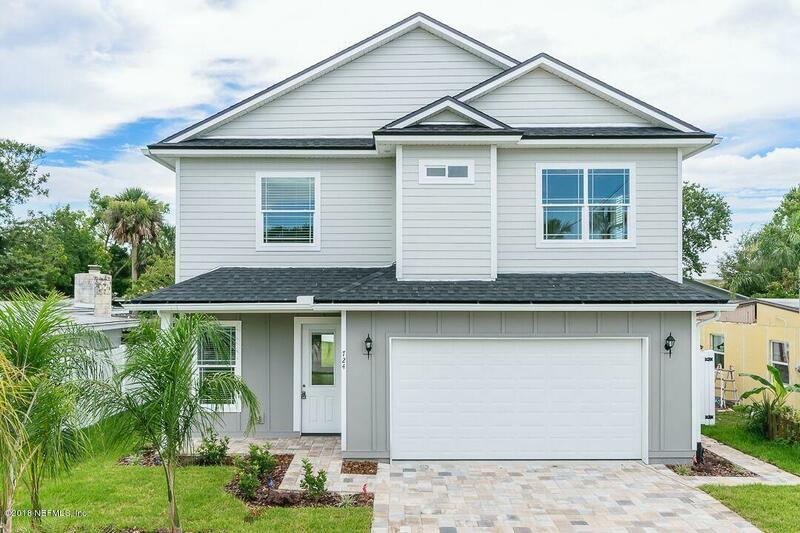 Upgraded doors, plumbing fixtures and lighting, Master has garden tub, shower w/glass enclosure & double vanity, paver driveway & porches, beautiful wood molding on 1st floor and stairwell, walk-in closets, thermal windows, Wonderful location in South Jax Beach within walking distance to fine restaurants, shopping, and the beach. This home is a must see!